The U.S. Army Corps of Engineers is urging people to stay off North Texas lakes. Despite the warning, boaters are anxious to enjoy a full Lake Ray Hubbard. The lake now sits at 435.6 feet. “It’s good for business, good for everyone,” said boater Scott Craig. Until a few weeks ago, water was so low, boaters could not dock at Rockwall’s Harbor point, threatening lakeside businesses. Unlike other area lakes which are experiencing problems with flooding, Lake Ray Hubbard’s parks, marinas and boat docks are open. Fishermen said the fish are biting. 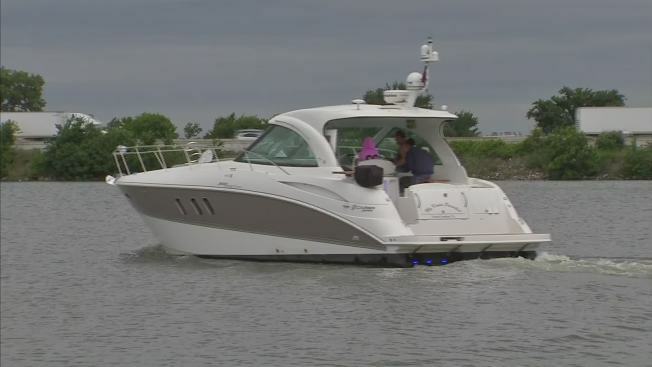 Even with severe storms and rain in the holiday weekend forecast, boaters were flocking to the lake on Friday. The U.S. Army Corps of Engineers said they are advising people to think about safety. Recent floods have washed debris into the lakes and people should not be on the water with severe storms and torrential rains in the forecast.